Islamabad (September 12, 2018): Prime Minister Imran Khan is all set to visit Saudi Arabia in coming week. Sources told that the premier will hold important meetings with Saudi leaders to discuss matters of mutual interest, while he will also perform Umrah. It will be Imran Khan’s first foreign visit as PM. 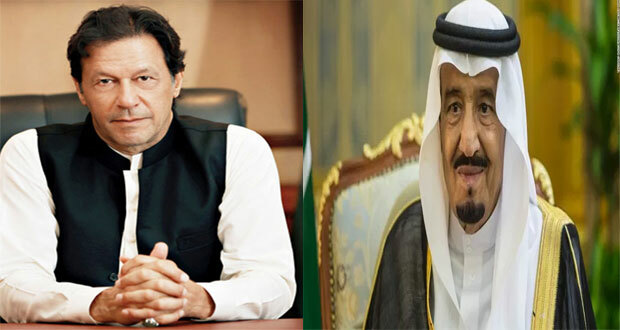 Earlier, Saudi King Shah Salman had telephoned Prime Minister Imran Khan and invited him for a state visit. Shah Salman said that Kingdom of Saudi Arabia attaches great importance to its relation with Pakistan. “People of Pakistan poses great trust on your leadership,” he said and added Saudi Arabia wishes for close ties with the new government. Khan further reiterated Pakistan’s commitment to the security and protection of the Holy Mosques and also the territorial integrity of the kingdom.